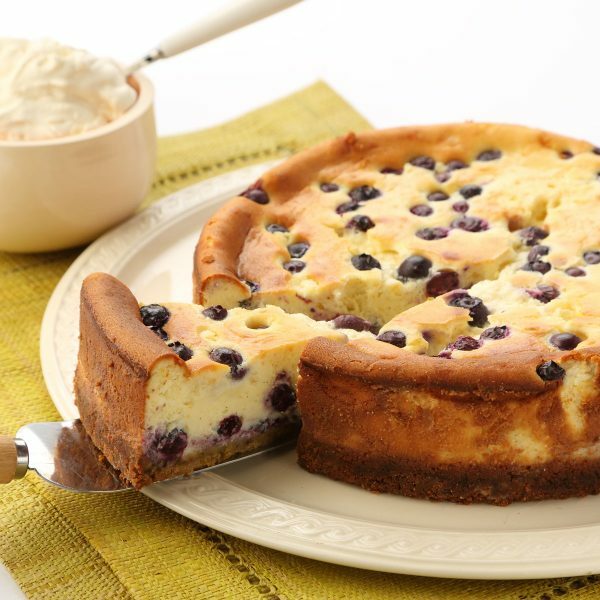 Blueberry and mascarpone cheesecake - home cooked food delivered. This palate-cleansing, fresh-tasting cheese cake is made using a crushed home made biscotti base, sumptuous mascarpone cheese and plump, ripe blueberries. Serve as a dessert, or even better with a cup of tea in the afternoon. Butter (MILK), fresh vanilla pod, mascarpone, cream cheese, caster sugar, cornflour (GLUTEN), free range EGGS, zest of orange and fresh blueberries, salt, ginger,plain flour, brandy. Keep in an airtight container.Use within 5 days and do not freeze.